Orders for Care Packages must be completed between Tuesday 12:00a.m. EST 04/02/19 through Monday 11:59p.m. EST on 04/08/19. Orders will be delivered by Monday 04/15/2019. Orders for Care Packages must be completed between Tuesday 12:00a.m. EST 04/09/19 through Monday 11:59p.m. EST on 04/15/19. Orders will be delivered by Monday 04/22/2019. Orders for Care Packages must be completed between Tuesday 12:00a.m. EST 04/16/19 through Monday 11:59p.m. EST on 04/22/19. Orders will be delivered by Monday 04/29/19. WEEKENDER PROGRAM PARTICIPANTS MAY NOT ORDER CARE PACKAGES FROM THIS PAGE. Three fun card games in one pack! 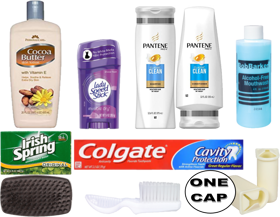 Our Premium Hygiene Pack is perfect with Pantene shampoo and conditioner!! This Pack is a MUST HAVE! 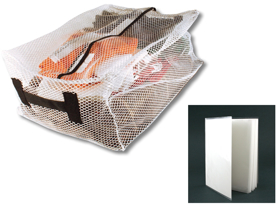 A fantastic pack that will allow your loved one to neatly store all of the CareMart items you have purchased!